The evolving creative industry has created a multitude of opportunities, and brands are spoiled for choice. Some prefer big recognisable agencies, but others just need that one-off solution a smaller outfit can provide. Simon Yuen talks to traditional giants and independent agencies to explore the opportunities and challenges of an industry adapting to scaled needs. For several years, brands have been exploring greater opportunities to increase their exposure and engage customers. Years ago, traditional agencies offering comprehensive services were crucial to successful marketing campaigns or general branding, but in recent years things have changed. One of the areas that has evolved significantly is how brands can captivate customers. Nowadays customers will shun pure ads – they prefer customised content when selecting products and services, which poses a bigger challenge for marketers. But more challenges can mean more opportunities. From fancy creative works to smaller tailored media coverage and exposure, choices are never scarce. “We offer à la carte services, a more flexible way to meet the needs of clients, and value-added services,” says Vanesse Lai, co-founder of Start PR. 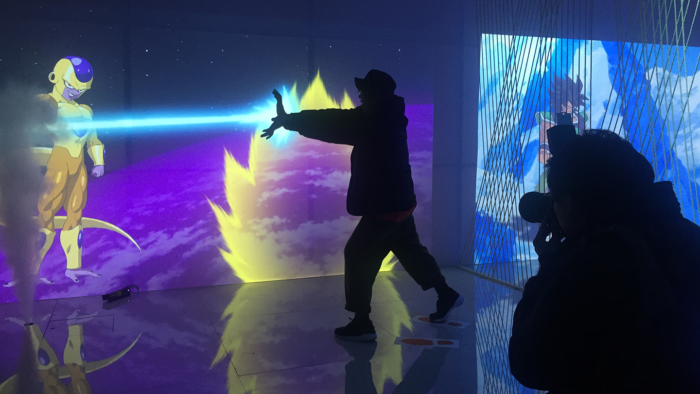 In December 2018, marketing consultancy MG Interactive held Hong Kong’s first anime licensing show at Cyberport. 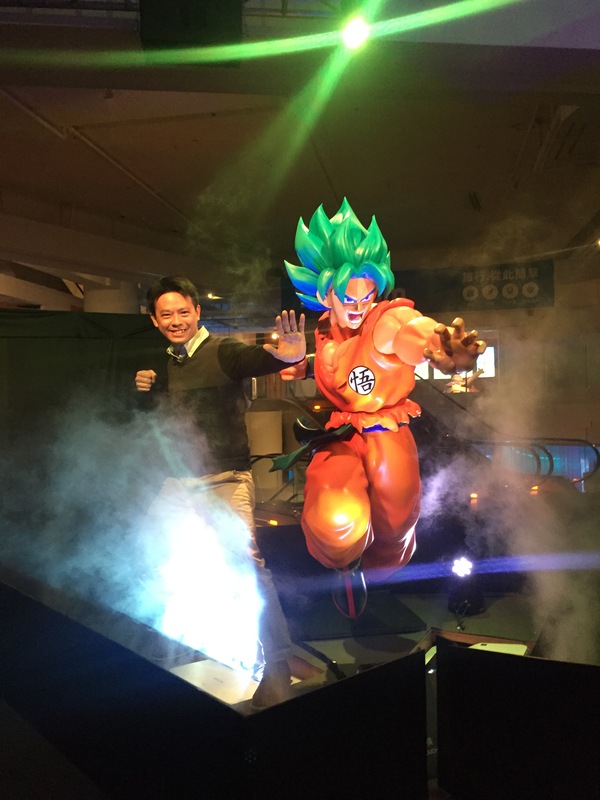 Figures, characters and motion sensing games from the popular Dragon Ball series were showcased, for which Start PR offered media pitching and press materials. Eiswein Wong, co-founder of Start PR, says the 43-day exhibition amassed about 20,000 participants and Start PR lined up interviews with HK01 and Economic Digest. “A good exhibition or programme without publicity is just a waste. Start-ups and SMEs are doing great jobs, but sometimes they lack enough budget to do public relations. The rise and prevalence of these companies helps us grow rapidly,” Wong adds. And small agencies can even handle international clients. Hungry Digital provides services to adidas, Shiseido, and Phillips with a team of only 10 members. On the ball: For the popular Dragon Ball series, Start PR offered media pitching and press materials, including interviews with HK01 and Economic Digest. Hungry Digital ran a social media campaign for adidas Runners Hong Kong. The campaign consisted of a thematic video called, “Running is …”, which featured several long-term supporters of the adidas Runners Hong Kong community via Facebook, Instagram and in-store video walls. The video on adidas Hong Kong’s official YouTube channel had accumulated 327,270 views on YouTube at the time of writing. In addition to the thematic video, the campaign also featured more than 30 Instagram stories to connect with the brand’s Instagramactive Millennial runners, with the aim to sustain a continued conversation among the members of the adidas Runners community members. The Instagram stories also acted as a timely reminder to the target audience of upcoming adidas Runners events. “It’s like comparing a supermarket with a mom-and-pop. I turned down clients who expected us to have a manager to serve them. But, I said, I am sorry, and they should find another agency, not us,” Leung says. Leung, who has had experience at Ogilvy & Mather, Leo Burnett and TBWA Hong Kong, explains the hunger for great work comes first when selecting employees. “I only look for people who are eager to do great work that they would be proud to show in front of their friends and family, not judges of creative awards,” he adds. Leung is not the only creative mind having had experience at traditional agencies. Terence Yam, co-founder and managing director of Pinocchio Communications – one of the creative forces of TKS Partners – held key positions at MSL Group and The Hoffman Agency. Pinocchio Communications positions itself as a public relations and social media specialist, offering content research, creation and strategies, along with commercials and ad productions. “We are not only creating ideas, but we also act as a business consultant,” Yam says. Keeping it simple: Pinocchio Communications created a campaign featuring Auntie Lin, a renowned icon of Tai Mo Shan Kiosk, for Bonaqua HK to promote the idea of bringing your own bottle. 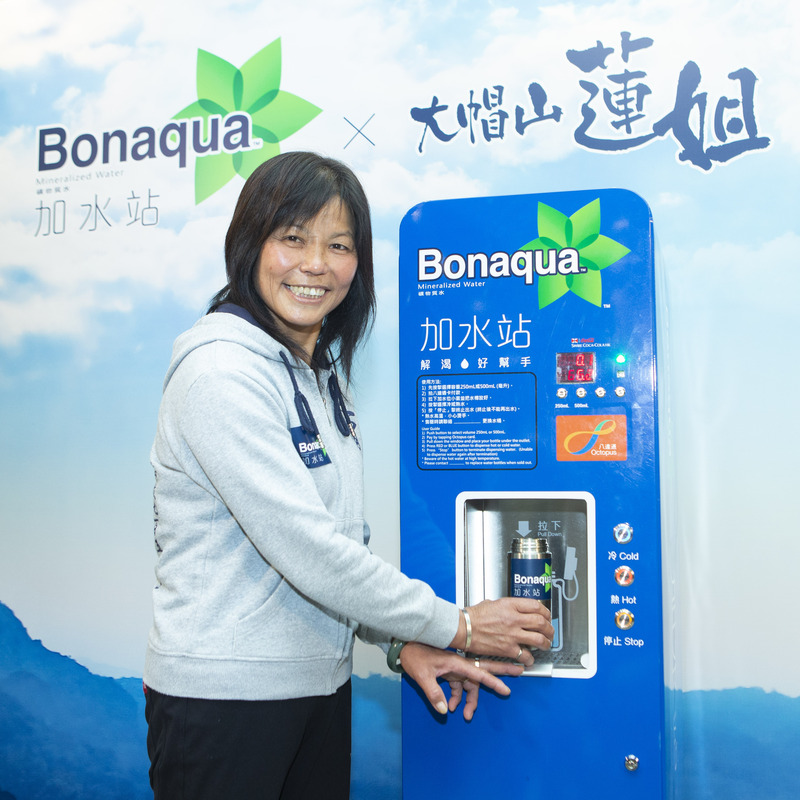 In December 2018, Pinocchio Communications created a campaign featuring Auntie Lin, a renowned icon of Tai Mo Shan Kiosk, for Bonaqua HK to promote the idea of B.Y.O.B (bring your own bottle). The competition among agencies is getting fierce. The way brands communicate and engage with customers has changed – from a one-way dissemination to a two-way communication. Now everyone is capable of distributing information and being a journalist – the explosion of information creates opportunities and challenges, but how you handle data may help you stand out from competitors. Deric Wong, CEO of Omnicom Media Group Hong Kong, agrees on the importance of technology. “Technologies such as mobile, social, cloud computing, the internet of things and big data analytics are prompting the advertising industry to rethink and reinvent its practices for helping advertisers achieve their marketing objectives, both efficiently and effectively,” he says. The development of highly innovative and disruptive technologies create new business models, consumer groups and distribution channels, as well as entirely new ways of marketing and selling products and services to consumers. Although the rise of social media has created opportunities, it’s still not easy to master social marketing. “Social media campaigns need to be strategically designed and executed. Advertising agencies are constantly upskilling themselves with knowledge of the platforms and technical experience to take full advantage of the social media ecosystem, be it through organic posts or boosted posts,” Wong explains. He also says full-service agencies will look into the integration of other media or advertising channels to amplify the return on marketing investment from social, thereby creating more connected consumer experiences for brands. Adrian Warr, managing director of Hong Kong at Edelman, says the expertise in handling data helps in managing social monitoring. “It helps agencies better understand what is happening. Also, more resources might be equivalent to a wider network and scope of work. To employees, they can also have more choices over their careers,” he says. Every agency has creative talent. For a person looking for a job in the creative industry, perhaps they have to figure out which type of agency is suitable for them. Jimmy Wong, who has had experience in a traditional agency and is currently working in a creative start-up, says it’s worth jumping into the industry if a graduate is not under financial pressure. “Both big and small agencies have something they are good at, and also some drawbacks,” he says. Wong explains that with the big agencies there are more opportunities for internal transfers or exchange schemes, such as other divisions within the group, and even foreign markets. But for those looking for a better remuneration package, small agencies are a wiser choice as they usually attract talent from big agencies to join. “Starting your career in a big or small agency shouldn’t be the most crucial question, but you have to be prepared to do tedious work at the beginning such as compiling reports, researching and administrative work,” he says.